to Celebrate Earth Day 2011! “The very first step for solving a home’s comfort issues and high utility bills is to always start with a home energy audit. It removes all the guesswork,” says Pro Energy Consultants Chief Technical Officer Mark Cannella, who has personally performed more than 10,000 energy audits since 1995. If you are experiencing difficulty heating or cooling rooms, poor indoor air quality or excessive energy bills, you are seeing signs that an energy audit is needed. During a professional, diagnostic energy audit (much more comprehensive than a free or do-it-yourself energy audit), an energy auditor will walk through your home, room by room, gathering information and data. Everything from the size of your house to the number and size of windows comes into play, and your feedback is important in helping the energy consultant evaluate all of your home’s features. This is an excellent opportunity to mention any energy problems you’ve noticed, whether certain rooms feel drafty or condensation builds up on windows. Through the use of a blower door and infrared camera technology, a professionally trained energy auditor can look behind the walls and ceilings to pinpoint where conditioned air is “leaking” out of the home. Following the energy audit, you should receive a list of prioritized, recommended improvements to solve any comfort and excessive energy usage issues — all tailored to your specific household needs. Not only do energy audits result in suggestions for a greener lifestyle but also for major financial benefits. In fact, in most cases, homeowners who implement even some of the recommended changes from an energy audit see immediate cost savings. 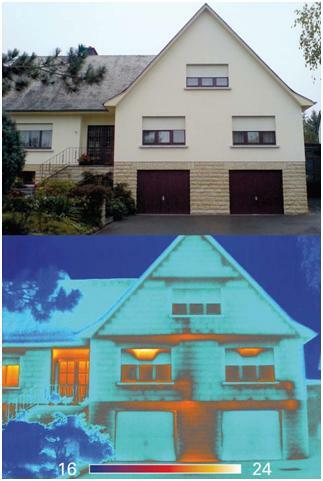 While energy audits can be performed for a few hundred dollars, the resulting savings can quickly add up. In that way, obtaining a home energy audit is more of an investment than a cost, and it’s an investment worth making. A big thanks to Jeff Pizzino of ProEnergy for providing the content for this post and for partnering with us in our 2011 Great Green Earth Day Giveaway!